Power Amplifier IC serves global wireless applications. Supplied in 4 x 4 mm QFN package, RF5632 is 2.3-2.7 GHz power amplifier IC that integrates 3-stage PA and power detector, operates from 5 V supply, and is optimized for WiMAX systems. Fully DC and RF tested unit delivers EVM of 2.5% and meets/exceeds WiMAX and LTE spectral mask requirements with an output power of 28 dBm in 2.3-2.4, 2.4-2.5, and 2.5-2.7 GHz ranges. Additional features include internal input and inter-stage matching as well as InGaP HBT semiconductor technology. Greensboro, NC - RF Micro Devices, Inc. (Nasdaq GS: RFMD), a global leader in the design and manufacture of high-performance radio frequency components and compound semiconductor technologies, today unveiled the RF5632, a 2.3-2.7 GHz power amplifier IC. 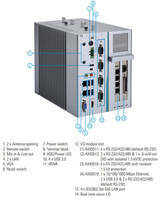 The RF5632 is optimized specifically for WiMAX systems and can be designed into multiple applications, including customer premises equipment (CPE), gateways, access points, LTE wireless infrastructure, and WiFi-based wireless high definition interface (WHDI) for wireless video distribution networks. The RF5632 offers global customers a broadly applicable power amplifier IC featuring a powerful combination of industry-leading RF performance and best-in-class product size and ease-of-use. The RF5632 integrates a 3-stage PA and power detector into an industry-leading 4mm × 4mm QFN package, significantly minimizing customer design footprint requirements. Additionally, the RF5632 operates from a standard 5V supply, eliminating additional power supply requirements, enhancing design flexibility and lowering bill-of-material costs (BOM). 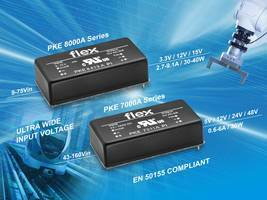 The RF5632 is also fully DC and RF tested including EVM at the rated output power, maximizing application yields and accelerating time-to-market. The RF5632 deliversan EVM of 2.5% and meets or exceeds WiMAX and LTE spectral mask requirements with an output power of 28dBm in the 2.3-2.4GHz, 2.4-2.5GHz, and 2.5-2.7GHz frequency ranges. 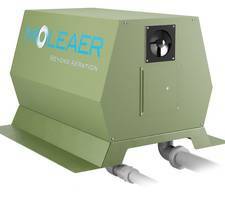 The bias of the PA may be controlled to accommodate a 22dB gain step to increase the dynamic range of the system. The RF5632 offers high gain of 34dB and high linear output power, with best-in-class efficiency. The RF5632 maintains linearity over a wide range of temperatures and power outputs while the external match enables tuning for output power over multiple bands. The RF5632 also features internal input and inter-stage matching, a power-down mode and power detection. The RF5632 features InGaP HBT semiconductor technology and is packaged in a leadless chip carrier with a backside ground. RFMD is showcasing the RF5632 and other industry-leading RF components at the electronica 2010 trade show in Munich Germany, November 9 through November 12. Product brochures are available at the RFMD booth (#A4.136), and datasheets can be obtained via RFMD's website at www.rfmd.com or by contacting RFMD at 336-664-1233. 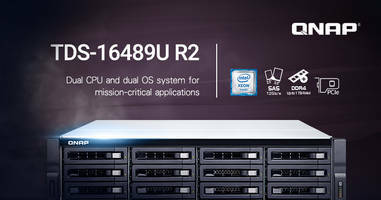 The RF5632 starts at $3.10 per 10,000 units. Samples and production quantities are available now through RFMD's online store or through local RFMD sales channels. RF Micro Devices, Inc. (Nasdaq GS: RFMD) is a global leader in the design and manufacture of high-performance semiconductor components. RFMD's products enable worldwide mobility, provide enhanced connectivity and support advanced functionality in the cellular handset, wireless infrastructure, wireless local area network (WLAN), CATV/broadband and aerospace and defense markets. RFMD is recognized for its diverse portfolio of semiconductor technologies and RF systems expertise and is a preferred supplier to the world's leading mobile device, customer premises and communications equipment providers. Headquartered in Greensboro, N.C., RFMD is an ISO 9001- and ISO 14001-certified manufacturer with worldwide engineering, design, sales and service facilities. RFMD is traded on the NASDAQ Global Select Market under the symbol RFMD. For more information, please visit RFMD's web site at www.rfmd.com. 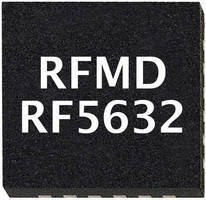 RF MICRO DEVICES® and RFMD® are trademarks of RFMD, LLC. All other trade names, trademarks and registered trademarks are the property of their respective owners.